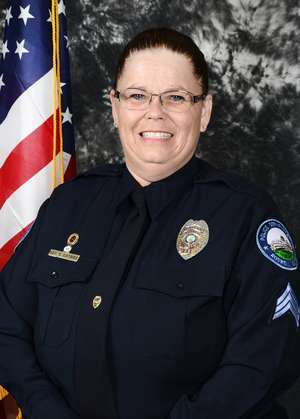 In Roswell, Ga., a police officer was fired in July after a complaint was filed against her but is planning to contest the firing, according to the Atlanta Journal-Constitution. Former Sgt. Silvia Cotriss had a Confederate flag on display underneath the American flag outside her home. She had apparently been flying the flag for about a year. The complaint was filed by a man who lives nearby and saw the flag while driving his children to preschool. He wrote in an email to Police Chief Rusty Grant, "[I]f I were to ever be pulled over or some situation where my family needs the police to protect and serve, my first thought/fear is that it may be the officer proudly flying his/her Confederate flag." Grant refused to comment on the case, saying, "We don't comment on personnel issues." According to the investigative report cited in the AJC, when asked why she would exhibit the flag outside her house, she "explained that the flag was part of her history, part of the South, part of history involving the Civil War." Cotriss apparently claimed that she had no idea the Confederate flag was offensive to some people. She said, "Cops don’t watch the news because we live it in the day and don’t want to see it again at night." The Journal-Constitution reported that the man who filed the complaint had attended the predominantly black Eagle’s Nest Church—where Grant and the Roswell police force had been invited to worship in the aftermath of the Dallas police massacre—the day before and had mentioned the church in his letter. The church's pastor, Lee Jenkins, said that he would be willing to meet with the former sergeant to talk about the incident and to try to build a bridge during a time of extremely complicated race relations. Cotriss accepted, saying that she, too, would be willing to meet with Jenkins and his congregation.